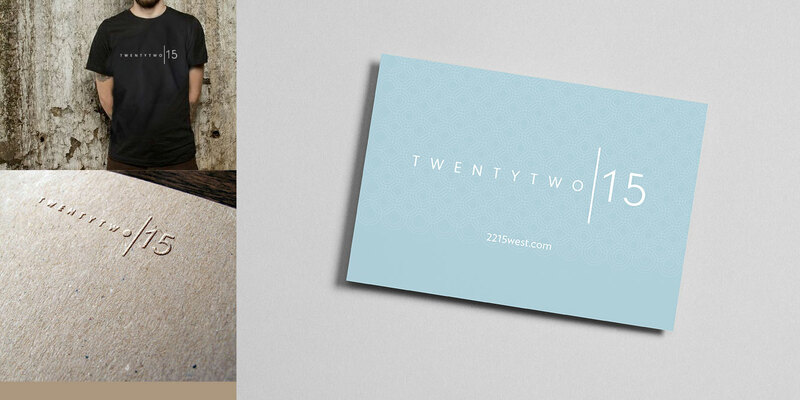 Web design & development for West Campus apartment building, Twenty Two | 15. Twenty Two│15 is a newly constructed apartment building in the West Campus area of Austin that offers a modern, luxurious lifestyle in an incredibly convenient location. Prior to their opening, Twenty Two | 15 sought our assistance on a variety of marketing initiatives that were essential to a successful launch of the property. Twenty Two | 15 needed a web presence that in addition to housing key business information, would ultimately showcase a variety of unique floor plans as well as access to apartment pre-leasing. However, before we could begin work on designing the website, we needed to develop a secondary color scheme that would be complimentary of their existing branding while also providing increased versatility that could be applied towards any future collateral. 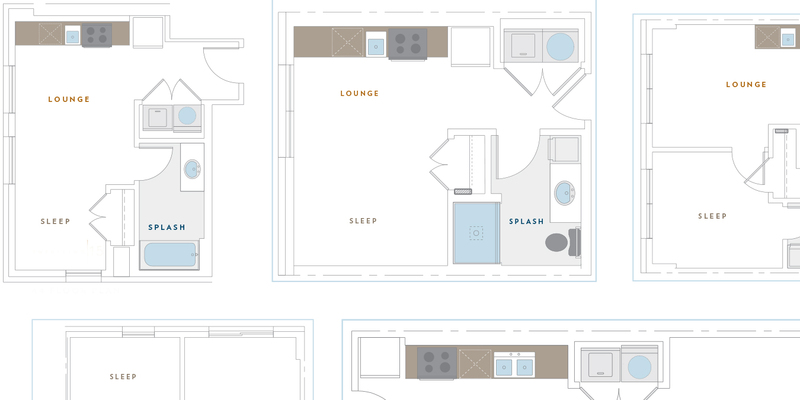 Additionally, MODintelechy was recruited to adapt original floor plan illustrations into custom digital renderings to give potential residents a true-to-life depiction of the various floor plans available. MODintelechy developed an initial custom website splash page to establish an online presence while the design scheme for both the website and floor plan illustrations was being created. Upon completion of the design process, we built a completely customized website that provided a user-friendly experience for both potential and current residents. "The digital renderings of the various spaces allowed them to completely pre-lease nearly 40% of their available floor plans." Twenty Two | 15 is now fully equipped with a newly designed and constructed website that accurately showcases the building's lux style and ideal location. The digital renderings of the various spaces allowed them to completely pre-lease nearly 40% of their available floor plans.